← Christmas Competition now closed! Win a winter camp class package at Baumhaus! 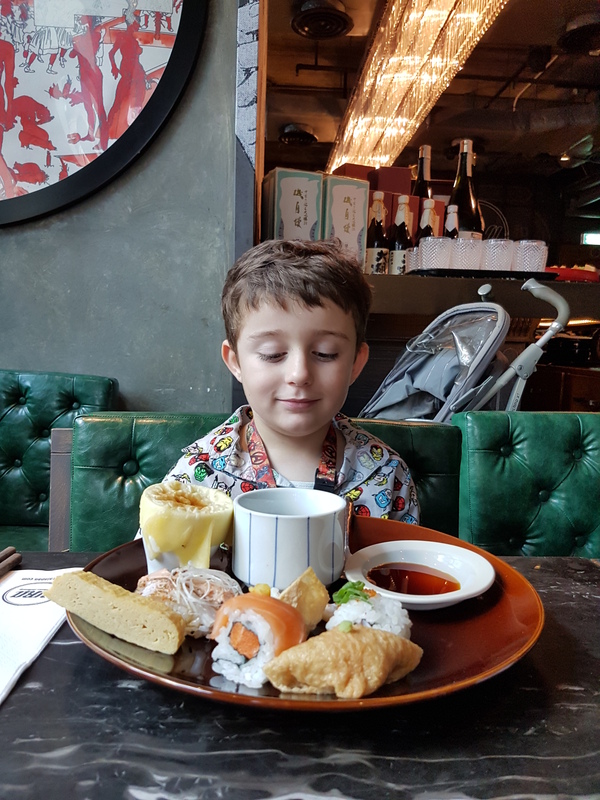 As we’re lucky enough to have two *relatively* adventurous eaters, we were happy to take up a recent invitation to check out the family-friendly brunch at Ura Japanese Delicacy. 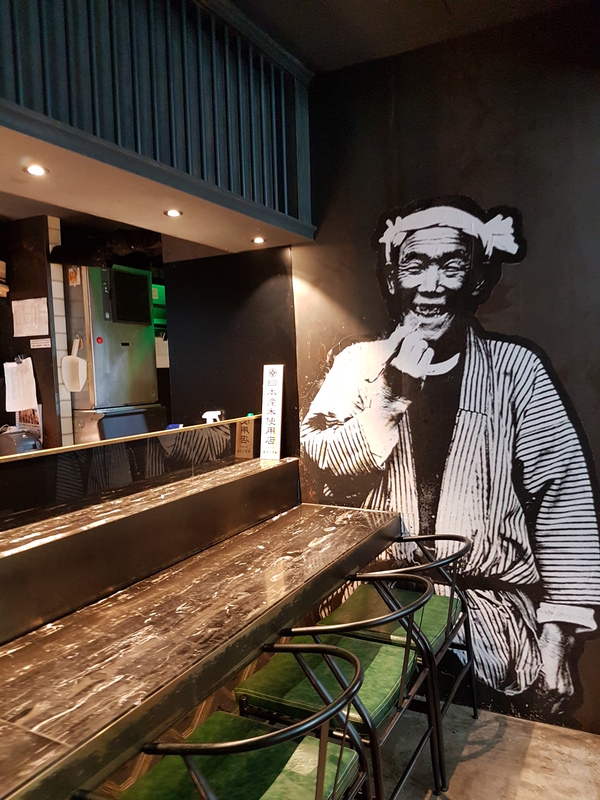 Located on the 2nd floor of The Wellington, just on the edge of Sheung Wan, Ura is a modern Japanese restaurant with a slick gold-and-black interior, complete with (most exciting for a five-year-old) cool manga illustrations on the walls. 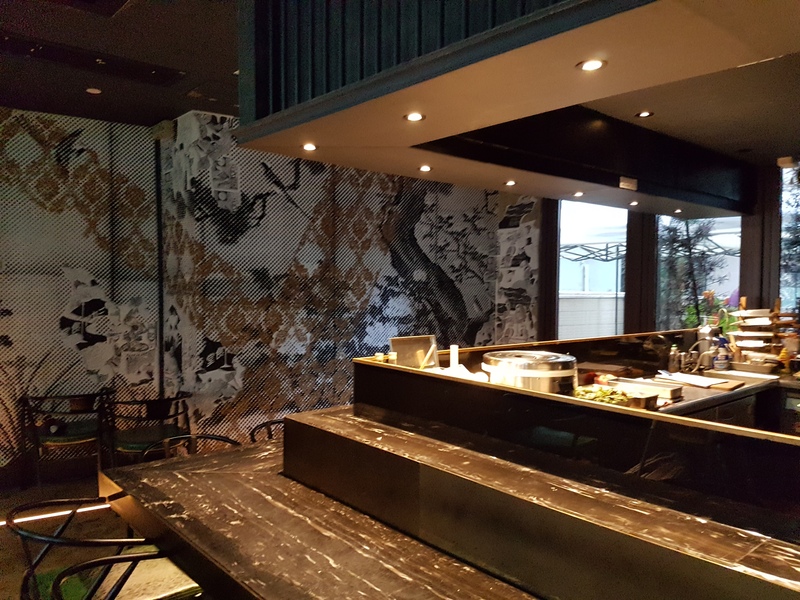 The restaurant is broadly split into two sections – a long restaurant space and a bar area that also doubles as additional seating when the restaurant is busy. Aside from the cool interior, Ura is blessed with not one, but two terraces. 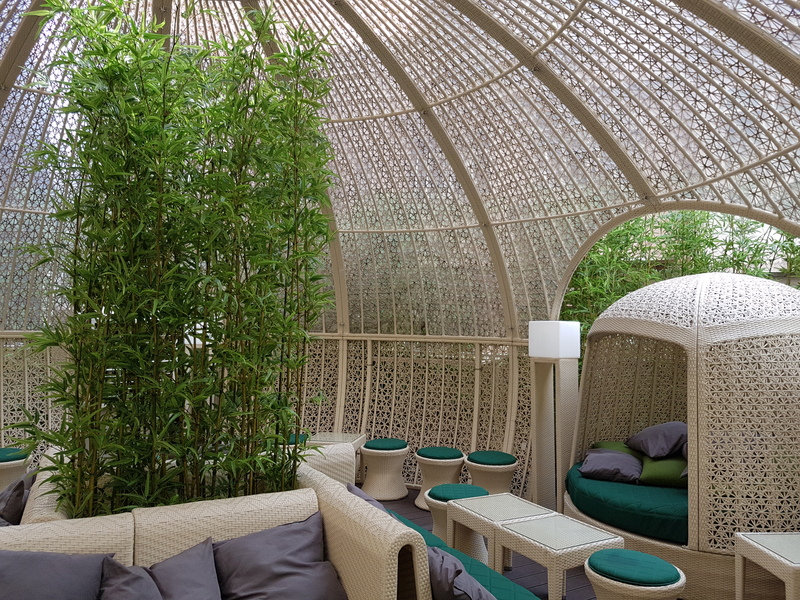 One is a gorgeous semi-enclosed bamboo-bedecked lounge that has happy hour written all over it, while the other is turned over to Ura’s younger patrons on Sundays. 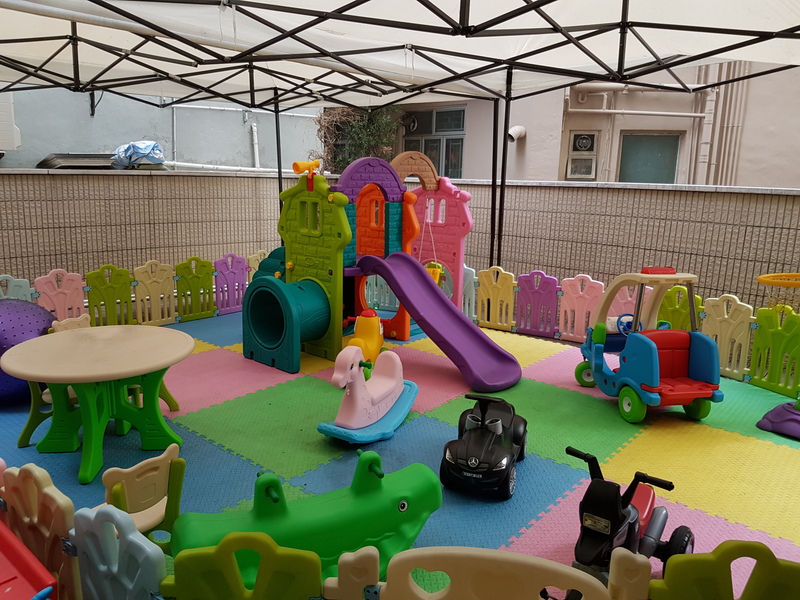 This decent-sized terrace has rubber playmats and a small climbing frame for energetic kids to clamber while their parents make the most of brunch. Speaking of which, a Sunday spent here is a remarkably good value affair. Brunch runs from 12-4.30pm every Sunday and costs $388 for an unlimited buffet, with the option of adding on free-flow sparkling wine, cocktails, house wine and beer for an extra $100. Kids under five eat free, while those aged six-12 pay half price. 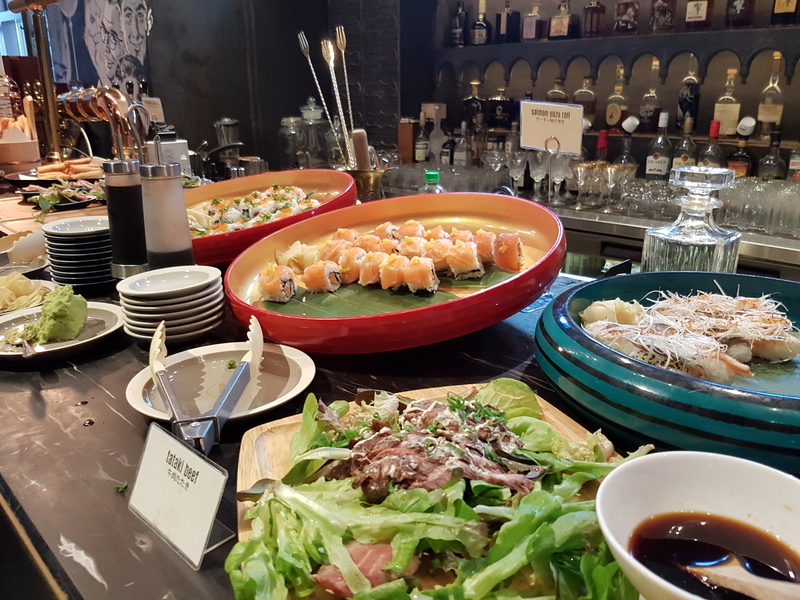 On to the food: Ura’s brunch is a semi-buffet concept, with a decent selection of appetisers, a choice of sets and mains cooked to order, sashimi and fruit. This worked well for our little gang, with enough options to keep adventurous big brother happy while not challenging his more conservative little bro too much. 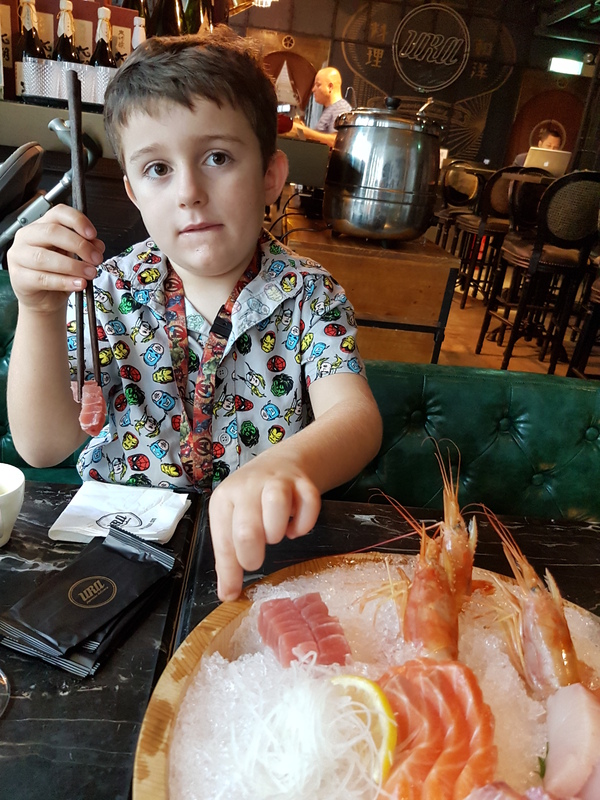 We kicked off with a sampler plate of sushi, salads and some delicious miso soup that was a surprising hit with both boys, before moving on to a selection of hot mains. 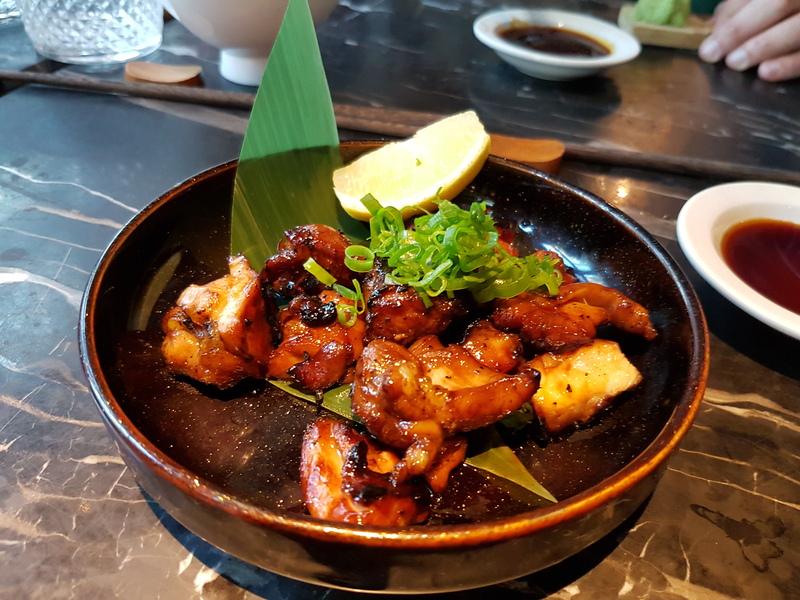 What little I was able to sample of the charcoal-grilled Nagasaki chicken with soy before the toddler swiped it was delicious, while Mr T-T’s Buta pork rice set was filling without being too heavy. 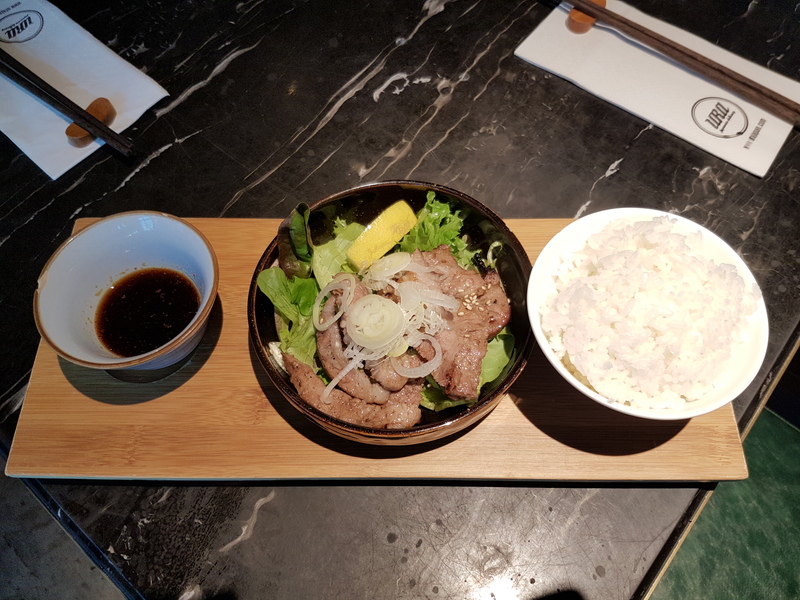 The eggplant with bonito flakes was full of umami flavour, and the Saga glutinous rice chicken skewer managed to silence both kids for long enough that we could get another refill of sparkling wine, making it the dish of the day in my book. Aside from the fab outdoor play area, Ura has some other distinctly kid-friendly features. There’s lift access and stroller space, and also a limited number of high chairs, although I’d suggest that you book these in advance, as there were none available during our visit. 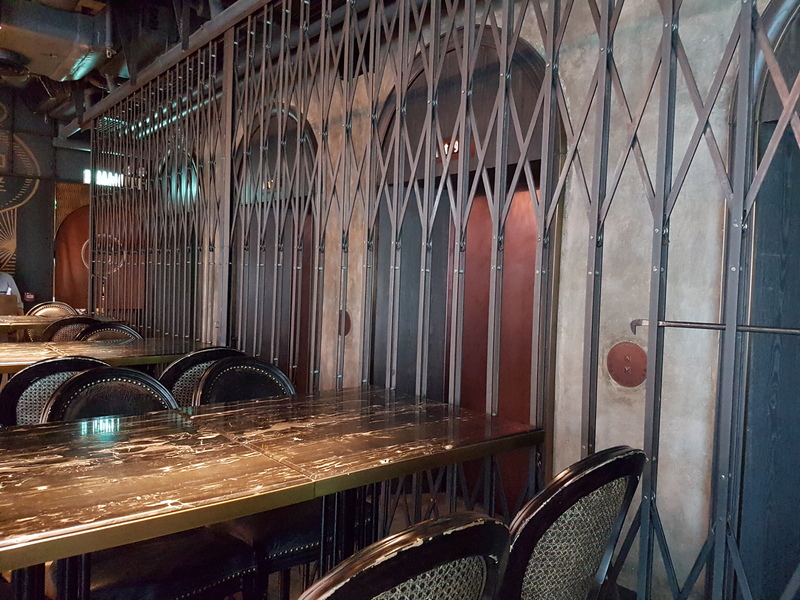 My only real criticism of the restaurant’s family-friendliness is that there’s no baby change here, despite the fact that at least one of the bathrooms has ample space for a fold-down table (pretty please, management?). 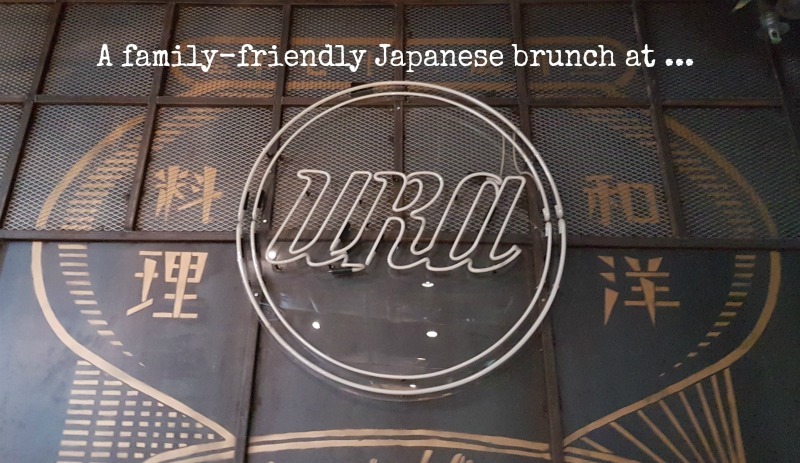 If you’re looking for family-friendly free-flow that lets you linger over lunch while the kids play in a safe, contained space, head on over to Ura. Costs: $388 (+10%) per adult, $194 (+10%) for kids aged six-12 years. Kids under six eat free. Free-flow add-on available for an additional $100. Please note that our meal was by invitation. Thanks for having us!